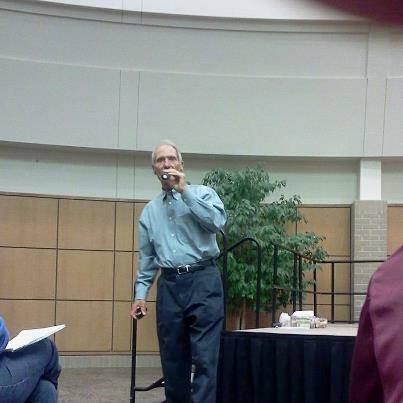 In November, I had the chance of a lifetime and got to hear the amazing Dr. Sears speak in my small town. It was an intimate meeting, with not a huge amount of people there. I felt so incredibly honored to be listening to the Dr. Sears, who in many ways helped shape who I am today as a parent. Many of my decisions on attachment parenting came from reading his books. Hearing him talk did not disappoint and he was incredibly smart and knowledgeable. The entire talk was mainly about living a healthy lifestyle and how to take those steps to do so. A healthy lifestyle is one that we are slowly converting to in our family. Not that we ever lived a terribly unhealthy one, but there were still many steps we have taken to change our lifestyle in order to better our health. We started last year by going gluten free. In all honesty it ended up being a relatively easy switch. We started taking a probiotic daily, or in our case, we started making our own homemade kefir. I started the girls on a cod liver oil supplement, and just recently started myself on a fish oil one (although I'm seriously considering doing this instead). We all take a vitamin D3 to boost our immune system, especially with our winters. A few months ago, we also decided to go mainly dairy free and I am slowly working towards going grain free. The one thing I didn't do for us, was find a vitamin supplement to take. However, our natural doctor we see told us that as long as we were eating enough fruits and veggies, we were ok.
Now we eat a pretty good amount of fruits and veggies and in the summer we are signed up with a local CSA. However, I knew we probably weren't getting enough and it made me think about possibly starting to take Juice Plus, a whole food supplement that I had thought of taking for years. 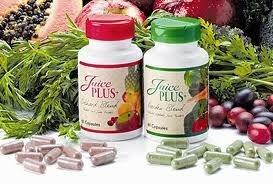 Juice Plus is a simple, inexpensive, and convenient way to add more fruits and veggies to your diet each day. Juice Plus isn't meant to replace the fruits and vegetables you eat, rather it helps bridge the gap between what you should eat and what you do eat. It's also gluten free (which is a huge plus for our family). The more I looked into it, the more I liked what I saw. In fact, I liked it so much that I figure, if I'm going to take it, I might as well become a distributor too, as I care about the health of others. As a parent, the real selling point came to me when I found out that if you have any adult (it can be a parent, grandparent, aunt, uncle, etc.) 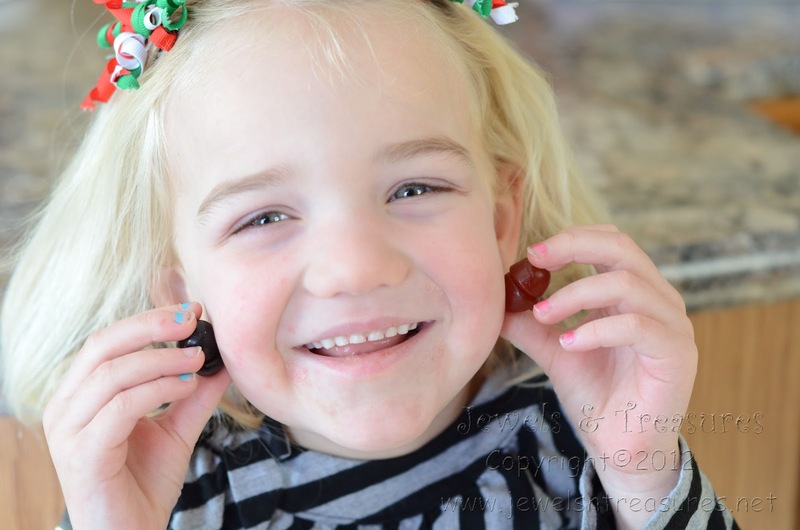 taking Juice Plus, you can get Juice Plus for a child, over the age of four, for free. That to me is amazing and because Zoelle has really struggled with her health (more so than the other girls) over the years, we have her under me for free. One of my biggest concerns was how expensive it would be, but for less than a cup of coffee a day ($1.50) you can get the Orchard Blend and Garden Blend and if you want both of those and the Vineyard Blend, it is $2.50 a day. Super reasonable, and if you have a child who is getting it free under you, it makes it even a better deal. For us, it just came to the point of asking what was worth our health, and Juice Plus certainly is. I mean after all, who doesn't need more fruits and vegetables in their diet? Oh and if you are wondering, Zoelle loves the gummies and thinks they taste really good (I've tried them before too and I agree). Are you ready to re-claim your health? If any of you are interested at all in adding more fruits and vegetables to your and/or your child's diet, and if Juice Plus sounds like something you would like, please feel free to check out my website, or email me at vanessajuiceplus@yahoo.com I would love to help you get on your way to a healthier life. If you have any questions, I'd be more than happy to answer them as well. Lastly, if you too are looking to make a little money, and are interested in becoming a distributor with Juice Plus, e-mail for more information. I was pleasantly surprised at how financially doable it is to become a distributor and the really cool thing is you get to help people get healthy at the same time. What better time to change your health and lifestyle then now as part of the new year!?! Wow, thank you for sharing!!! What a wonderful post! !Thanks for sharing such an awesome article with us! Best new year Messages .